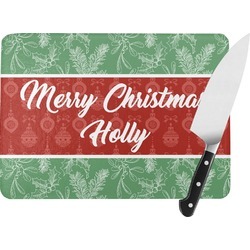 Leave these personalized glass cutting boards on the counter as part of your kitchen decor!! They not only have beautiful designs and personalizations, but are also very functional. The cutting boards will protect your countertops from scratches and scrapes and have a non porous surface that is easy to sanitize and clean. Give as a wedding, housewarming, or birthday gift and watch how pleased the recipient will be!! AWESOME!!! Above and beyond what I expected! Just got my yoga poses large glass cutting board. It is absolutely adorable, I'm the yoga instructor and one of my students is getting married, I thought this would be perfect, well it's beyond perfect, it's the cutest thing ever. Your staff was amazing to work with, the shipping was quick, it was so well packed, and the results are way beyond what I thought was going to be adorable, it's amazing. She gets married in April, am I going to wait till April to give it to her? Absolutely not! Thank you guys so much, I couldn't be happier. 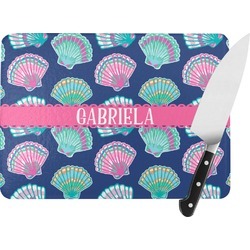 The personalized cutting board is a conversation piece. It is durable and looks fabulous. I would highly recommend the large size.